Great relaxed pub. Free wifi which was great! Staff were really friendly and were happy to have a conversation which is rare these days. I ordered food and for the cheap price was pleasantly surprised at the quality and portions, clearly targeted at students but simple food done well. Great stop pub. Love the art work on the walls but toilets a bit of a let down. Staff have been getting progressively worse for the past nine years, sticky floors and disgusting toilets. It has become the pub of choice for people that have embraced the student lifestyle a bit too much. This large pub is friendly and welcoming, Prices seem a bit cheaper than othe pubs and the menu looked really interesting. It is a very student friendly pub and has wireless internet access and large tables to spread all your work out on. 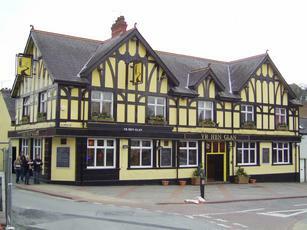 As this pub is close to the University and opposite the students Union building it will be quite lively at nights should be a good place to be. Sticky floor, slow bar staff, sticky sofas, slow food service, sticky tables, slow flush on toilets, sticky toilets, slow students, sticky students. All in all a very slow and sticky pub. My favourite pub ever, great student drinking establishment. Fantastic choice of music, great for food and with your scream card drinks are reasonably priced. Loving the sofas for us lazy bums and the bar staff are amazingly friendly even when so busy!